While pies may be the most well known fruit-filled dessert, tarts are equally as delicious and impressive. Made with some kind of fruit filling and pastry dough, tarts are essentially pies, sans the top crust. Added bonus: They’re much easier to make (don’t worry, we won’t tell anyone). These baked treats are perfect for those occasions when you want to wow your guests, but don’t want to spend the entire day toiling away in the kitchen. Ready to savor the fresh flavors of fall? Here, eight autumnal-inspired recipes—from tarts to galettes to crostatas—that are guaranteed to sweeten up all your seasonal soirees. All that’s left to do is head over to your local farmers market, pick up a bounty of peak season produce (pears, apples, and plums are particularly delectable this time of year), and get baking. From May to October we’re in a downright frenzy for decadent, luscious figs. 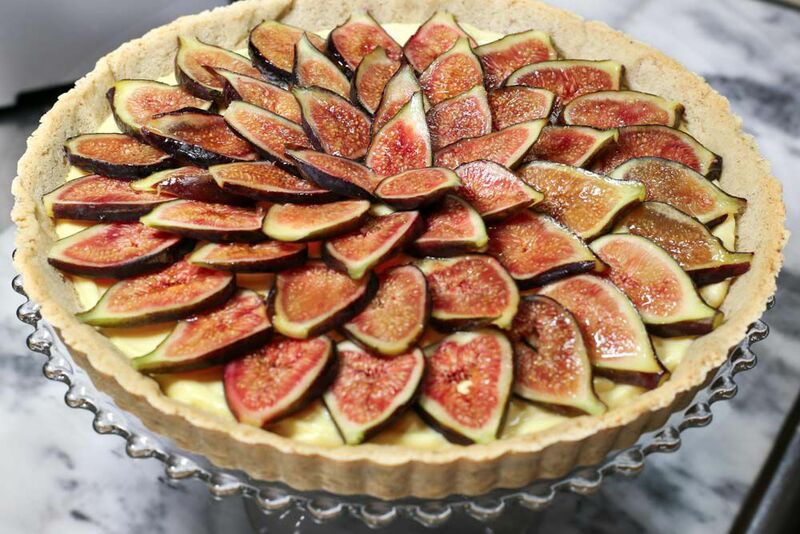 And while a fig and goat cheese tart is a classic for a reason, if you’re looking for something just as special yet less expected, this dreamy dessert—comprised of fresh figs glazed with lemon and apricot jam, a mascarpone filling infused with sweet Marsala wine, and a pecan and pine nut crust—is for you. The difference between a tart and a crostata? Tarts are baked into a pan, whereas more rustic crostatas are free-form, with the dough folded up around the filling to create a crust. 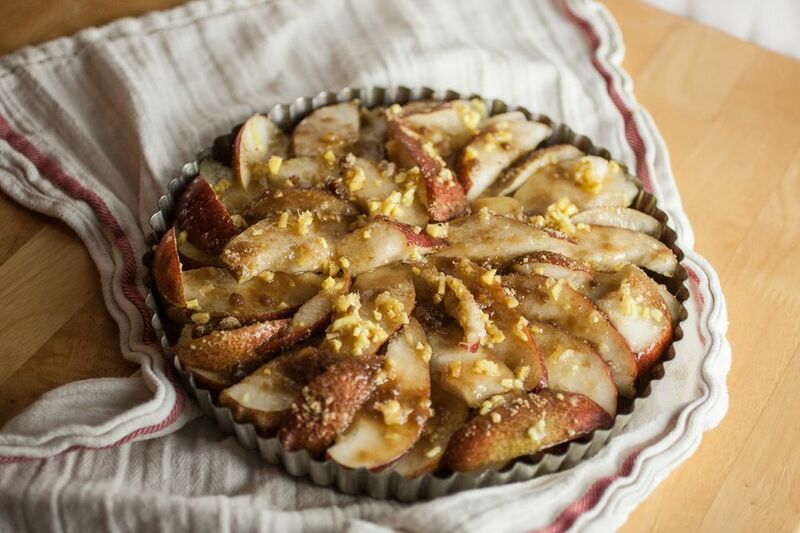 This autumnal-inspired crostata stars the king of fall fruits, the apple. Finish with a drizzle of honey and a scoop of vanilla ice cream, and we dare anyone not to fall in love. The ground cherry is the unsung hero of autumnal produce. These cherry-sized pearls have a papery husk, an vibrant orange color, and a flavor that can best be described as a cross between a tomato and a pineapple—making it sublime for both sweet and savory preparations. This simple, seven-ingredient tart spotlights these golden gems in all their seasonal glory. Tarte Tatin is a classic French dessert, in which the fruit (typically apples) is caramelized, covered with puff pastry, and baked upside-down. Instead of apples, this recipe spotlights quince. For those not familiar, when mature, quince resembles a knobby pear with a tough, golden-yellow skin. While the raw flesh is rather hard and fibrous, when cooked it becomes tender and aromatic. The perfect finishing touch for this quince-filled confection? A dollop of vanilla-scented Chantilly cream. If you’re not familiar with the persimmon, you’re not alone. This under-rated fall fruit comes in two types: Astringent, which tend to be larger, heart-shaped, and should be eaten when mature (e.g., hachiya) and non-astringent, which are smaller and can be consumed when still firm (e.g., fuyu). This recipe layers oat crust, maple cinnamon cream cheese, and slices of ripe fuyu persimmon. For an extra special touch, before serving, sprinkle granulated sugar over the top, and use a kitchen torch to brûlée. You may have noticed the galette looks nearly identical to the crostata. That’s because they are indeed the same...except in name. Crostata is Italian, while galette is French. This free-form pastry—featuring pie crust, tahini, honey, black grapes, egg yolk, sea salt, and tangy Greek yogurt whipped cream—bridges the gap between savory and sweet. Poached pears are an elegant fall dessert, but perhaps a bit formal for everyday. For something slightly homier, try this sweet and zesty tart—composed of juicy red pears, freshly grated ginger, and a walnut and date crust. Now, here’s the kicker: It’s vegan! So your non-dairy-eating guests can have something to go gaga over too.